Hands On Health Care Clinic > Blog > Chiropractic > Your local Chiropractor for Fairlight! Looking for a Chiropractor in Fairlight? We’ve got you covered! 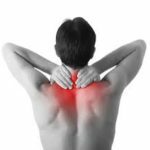 Located at the intersection of Sydney Rd and Condamine St, Hands on Health Care Clinic practices in the treatment of neck and lower back pain, sciatica, muscle and ligament sprains and strains. We offer long consultations and use an evidence-based approach to achieve the best possible results for our patients. Balgowlah Chiropractor Georgie Smith and Damian Brown have been treating the local community for 10 years and we are always looking for ways to give back. This year you would have seen us volunteering at the Many Cole Classic swim and run and also at the Manly Fun Run offering free massages for the aspiring athletes. 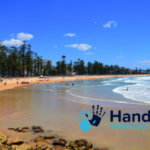 Just a short trip up from Manly, Hands on Health Care Clinic Fairlight are here to help!